Our Engraved Golf awards and golf trophies will prove a hole-in-one success for the winners of your tournament. 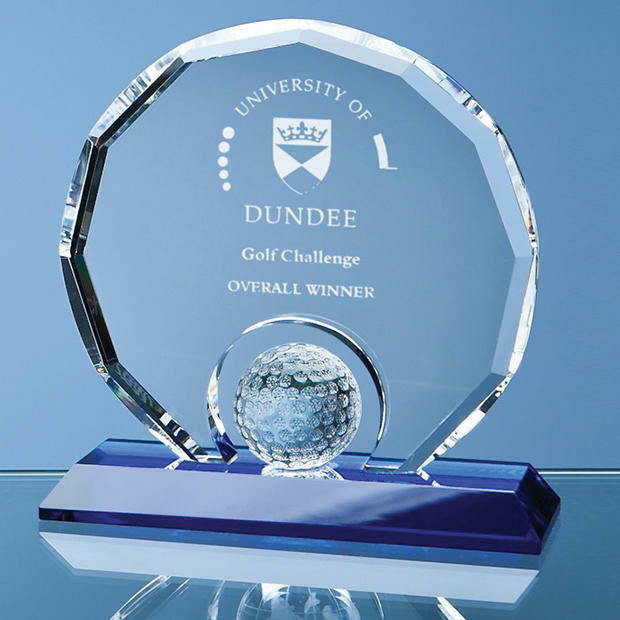 Unique golf ball designs make our golf trophies extra special. Order your golf day items online every day of the year from House of Crystal, the UK's biggest supplier of glass-only trophies.